Four rows of spinach grow between covered bed. 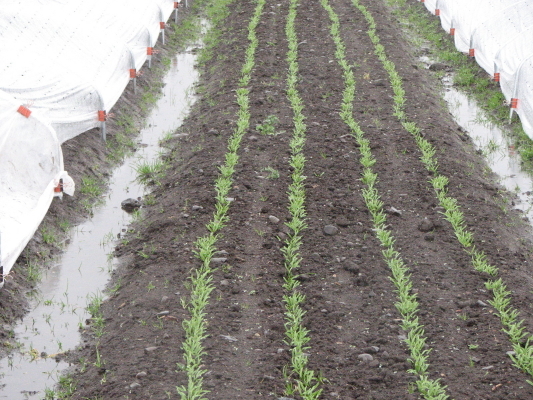 Seeing all the water between the beds gives good reason for planting in "raised" beds. 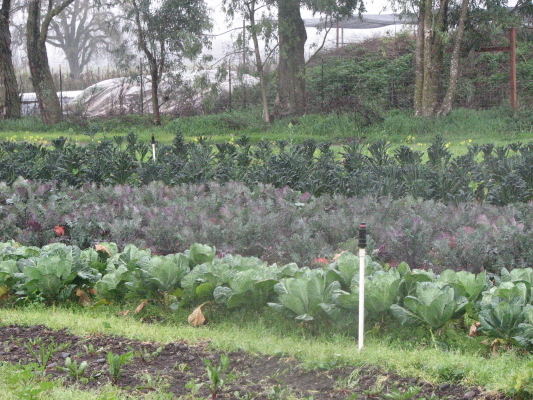 Lacinato and Red Russian kale with collard make an irresistable green border. This entry was posted on Tuesday, February 15th, 2011 at 8:02 pm	and tagged with kale, spinach and posted in Uncategorized. You can follow any responses to this entry through the RSS 2.0 feed.